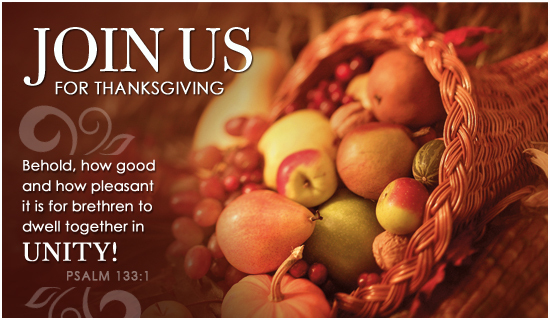 This week on Knight Life its Thanksgiving ….we give thanks – for life, for our faith and for our fraternity. Happy Thanksgiving. We begin this week with an Act of Faith led by our State Chaplain Fr William Reynolds. One truth of our faith which Knights rally to at every opportunity is the value of all human life. Over the last several years, Knights have helped start and support pregnancy resource centers across our state. I am closest to Mary’s Choice in Sioux City. I visited with Sherril Glassmaker about their new ultrasound – courtesy of local Knight’s council. So much more can be done to support life and to support families. If it’s in your heart to help stop by your local resource center and offer to lend a hand. Every little bit helps tremendously – especially a positive encouraging word – we can save many lives – baby and mother. Don’t worry that you won’t have enough time or skill – what you have is enough in God’s plan. This band of brothers as we like to refer to ourselves is bound together by faith and by charitable acts. Men who join the Knights are joined to a band of brothers whose individual small efforts are magnified thru unity of action. One man I spoke to joined the Knights after he retired from a demanding career. He was aware of the Knights and our work from the outside. Now as a member he is equally impressed on the view from the inside the organization and sees greater value than he perceived before. I certainly don’t recommend men wait until they have time to join the Knights – we stress that you can do what you do today for the Church and your family – but to do it as a Knight. I don’t know that there is any more important task a father can take than to protect and promote the spiritual welfare of his family. I really believe a Knights council can assist Fathers in that vocation. I talk a bit with Dr Wolpert about the impact that Knights can have on families as they become more involved together in the faith based activities of the Knights. Knights bring an extra dimension of holiness thru our efforts to live our faith within the context of family while reaching out to others in need. Dr Wolpert is one of those responsible for the ministry of KFHC Catholic radio in Sioux City. Catholic radio is a valuable contribution to our faith community and Dr John and I visit about the various dimensions that it can take. As you are a Catholic radio listener already I ask you to invite your friends to “try” Catholic radio with their families – and sample some of the treasurers of our faith. It just might start a conversation that makes a positive difference in someone’s life. I welcome Steve Hesprich who offers a thankful reflection from Knights to Christ this week. We have so much for which to be thankful – our faith, our family, and our fraternity of Catholic brothers. We have our freedom – guaranteed by all those who serve in the military for whom we are most grateful. I rummaged thru our interview archives and bring you this thanksgiving message from Past State Deputy Joe Ramirez. May all of you have a Happy Thanksgiving with your family and friends. May you be abundantly blessed.